KATHMANDU, Nov 21: While Monday marks the 10th anniversary of the signing of the Comprehensive Peace Accord (CPA) between the government and then rebel CPN (Maoist), many promises and commitments made in that historic deal remain either only partially fulfilled or altogether unaddressed. The peace accord not only paved the way for resolving the decade-long Maoist armed insurrection and restoring sustainable peace in the country, but also promised to bring about socio-economic transformation in the lives of the people through various measures, including forward-looking state restructuring. But 10 years on, there has been little tangible progress in the implementation of these commitments, except for the promulgation of a new constitution, and the integration of a small number of Maoist combatants into the national army as well as voluntary retirement of the others. Former CPN (Moist) leader Khim Lal Devkota, who is now the spokesperson of the Baburam Bhattarai-led Naya Shakti party, said the CPA aimed at achieving four main things: restoration of sustainable peace, introduction of forward-looking restructuring of the state, establishing transitional justice mechanisms to provide justice to conflict victims, and bringing about socio-economic transformation in the lives of ordinary people. "But unfortunately our focus so far has remained only on the promulgation of a new statute, and the integration of Maoist combatants in the national army," Devkota told Republica. Besides institutionalizing federalism, republicanism, secularism and inclusiveness in the country, the CPA promised to establish a High-Level Land Reform Commission, a High-Level Peace Commission, a Truth and Reconciliation Commission and a Commission of Investigation on Enforced Disappeared Persons, to address the root causes of the conflict. The accord also promised to introduce forward-looking state restructuring in order to address discrimination based on class, caste, region and gender. Devkota said that while the promulgation of the new statute is a historic achievement, this document fails to adequately ensure the rights of Dalits, women, the ethnic nationalities, Madhesis and Muslims. "The issue of bringing social and economic transformation in the lives of people has been largely ignored. Unlike the way we are now relating it to federalism alone, state restructuring is also meant to bring reform in our bureaucracy, the security sector and the various organs of the state," he further said. 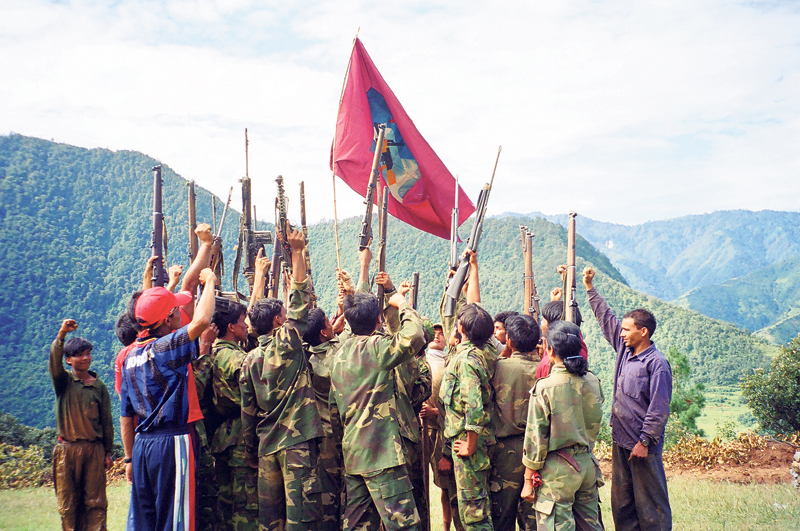 In a landmark achievement in the ongoing peace process, altogether 1,352 out of over 19,000 verified Maoist combatants officially joined the Nepal Army in July, 2013, and an elected Constituent Assembly (CA) promulgated a new constitution in September, 2015. However, the Truth and Reconciliation Commission and the Commission of Investigation on Enforced Disappeared Persons have not achieved anything tangible by way of providing justice to conflict victims even as its original two-year term is set to expire in two months. Nepali Congress (NC) leader Dr Shekhar Koirala, who was a close confidante of then NC president Girija Prasad Koirala when crucial peace negotiations were underway, argued that this historic process has failed to reach its logical conclusion even after a decade due to lack of statesmanship. "It is sad that nothing has been done either by the party or by the government to provide justice to the victims of conflict," said Koirala. Girija Prasad Koirala, as then NC president and the prime minister, was one of the parties to the CPA. Finance Minister Krishna Bahadur Mahara, who was the key Maoist interlocutor with the government during peace negotiation, admitted that much is yet to be accomplished despite the fact that a new constitution has been promulgated, and the process of integration and rehabilitation of the former Maoist combatants is almost over. "We have come to a new place from the old one. But we have failed to manage things properly as we reach a new destination charted out by the peace process," he said. As the newly-introduced constitution leaves some of the concerns of the agitating groups unaddressed, and the root causes of conflict such as poverty and inequality remain largely ignored, the vision of the CPA to build a peaceful, stable and prosperous Nepal looks elusive still. "The CPA has brought about change in our political system, but not in the condition of the people. Our political leadership must take this into account while implementing the CPA," Devkota argued. November 21, 2006: Government comprising of major political parties and the Maoist rebel reach Comprehensive Peace Accord. February 10, 2015: Formation of the Commission of Investigation on Enforced Disappeared Persons.